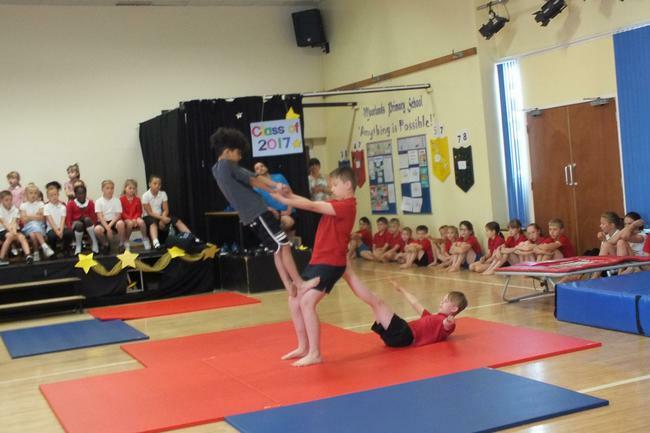 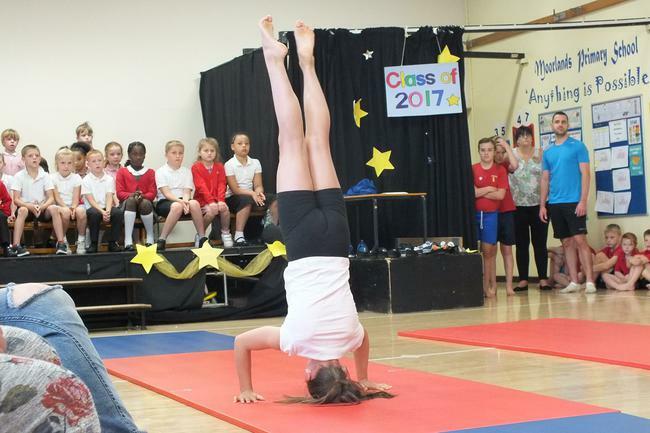 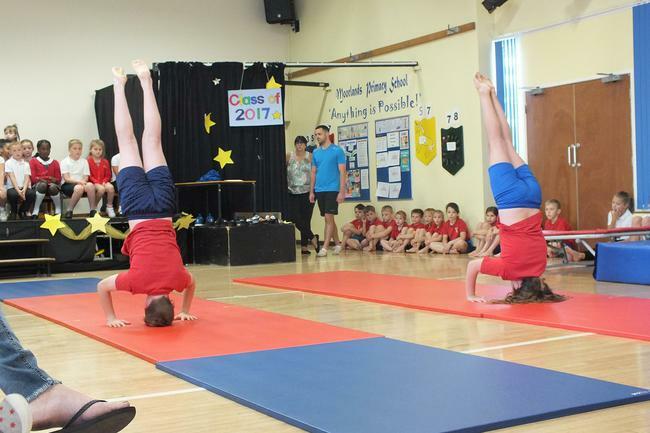 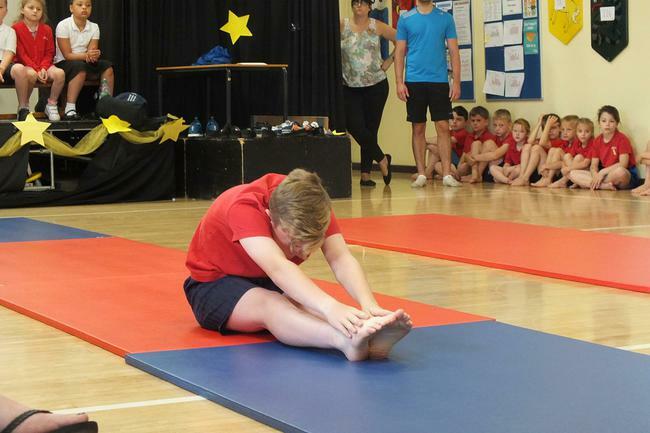 Year 6 and the Moorlands Gym Team (led by coach, Mr Porter) put on a spectacular performance of their gym routines for pupils and parents on Wednesday 18th July. 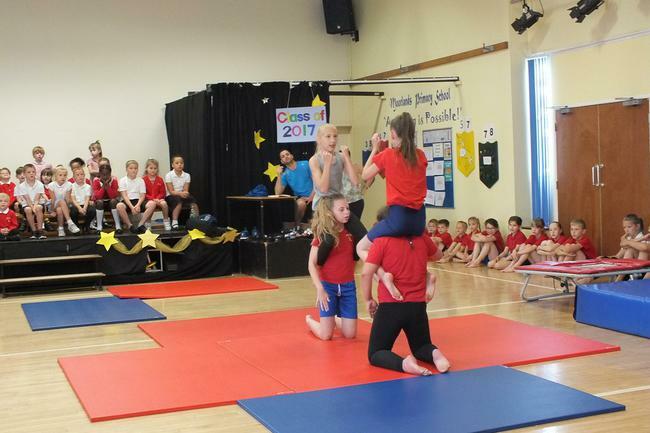 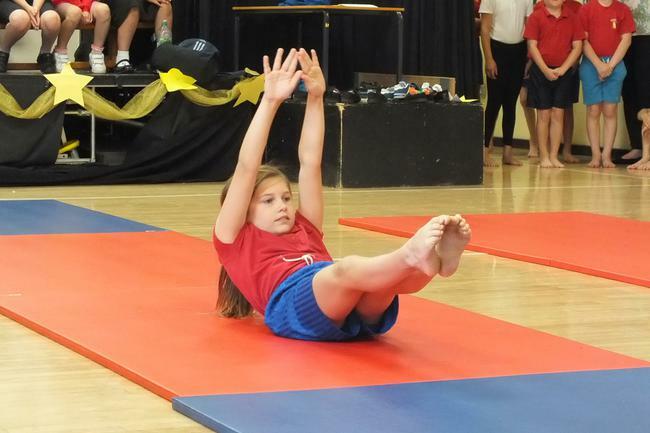 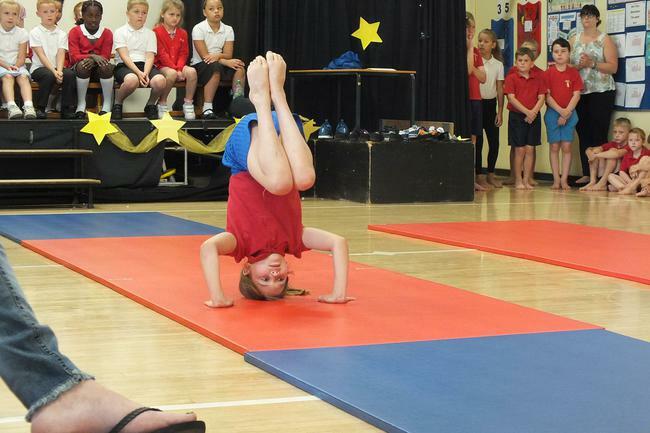 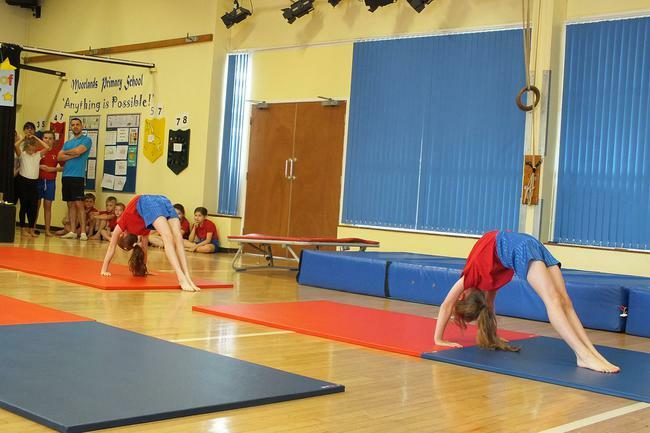 Groups of Year 6 performed routines they had choreographed themselves incorporating balances, rolls and lifts. 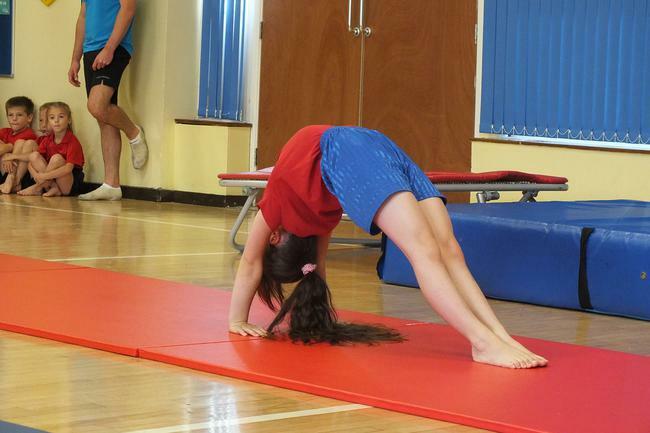 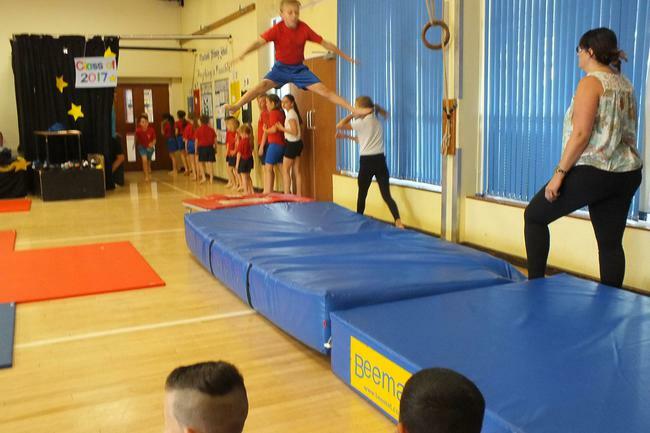 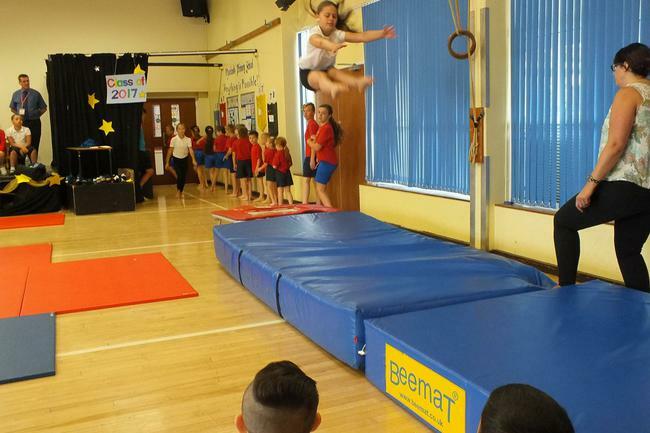 This was followed by an impressive performance from the Gym Team showcasing their skills using the trampette to launch into straddle, tuck and pike jumps followed by forward somersaults! 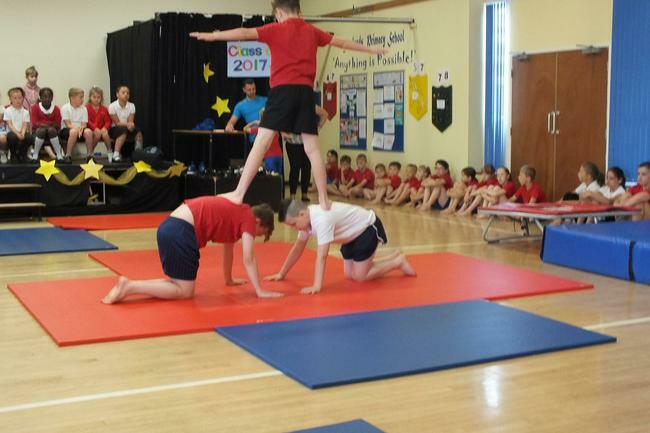 The Gym Team and year 6 have worked hard to perfect their routine and produce an impressive performance - well done to you all.